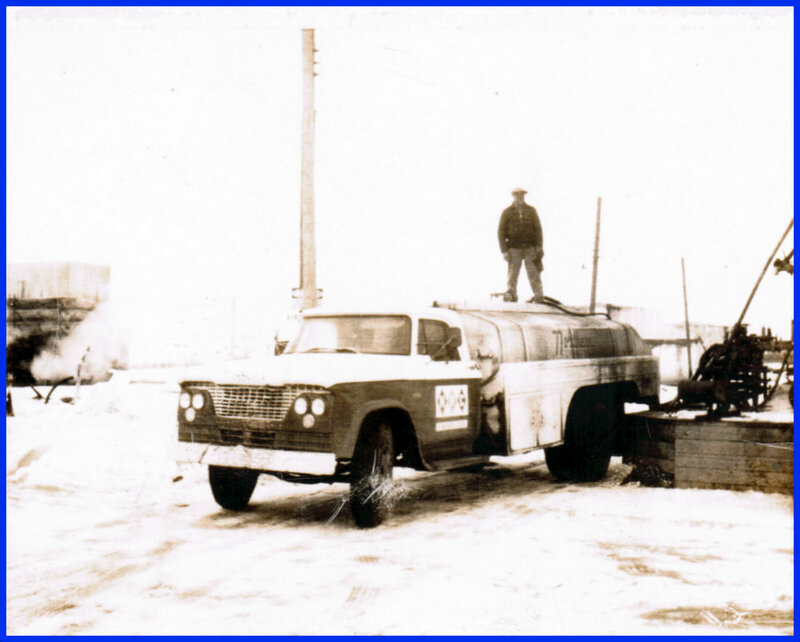 My father-in-law William (Bill) Demoskoff drove a fuel truck for Northern Petroleum Corporation in Kamsack, Saskatchewan, Canada. He was with NPC from about 1965 to 1972. Bill served rural customers in a ten-mile radius from Kamsack. 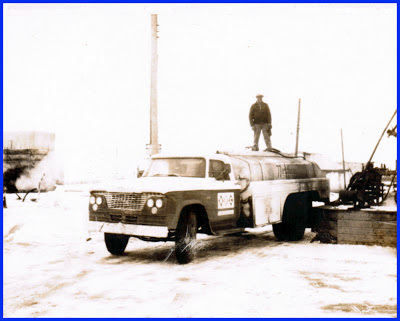 The photo, dated about 1972, shows him filling his truck before his next run. In summer, he delivered diesel and gasoline to farmers' above-ground storage tanks. In winter, he delivered heating oil to farmers' house furnace tanks. Bill found it challenging to work in the winter months, because of the cold temperatures and snowed-in roads. In 1973, Bill and his family moved to British Columbia, where he eventually retired and enjoyed a milder climate.